Floor Display for Military Sword or Navy Cutlass. 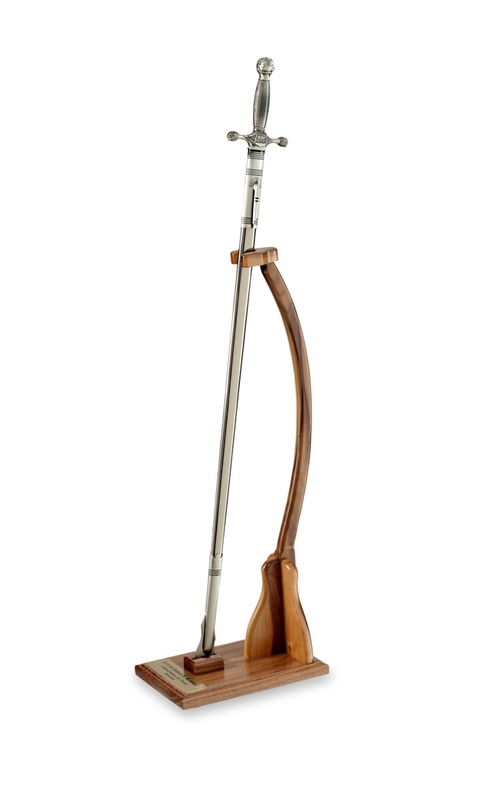 These beautiful Hardwood Display Floor Stands provide you with a unique way to display your prized Military Sword or Navy Cutlass. Each Floor Stand is carefully hand crafted and finished with multiple coats of furniture grade lacquer. You can choose your favorite genuine American hardwood, and order an engraved brass plate, that will be mounted on the beveled portion of the display base. 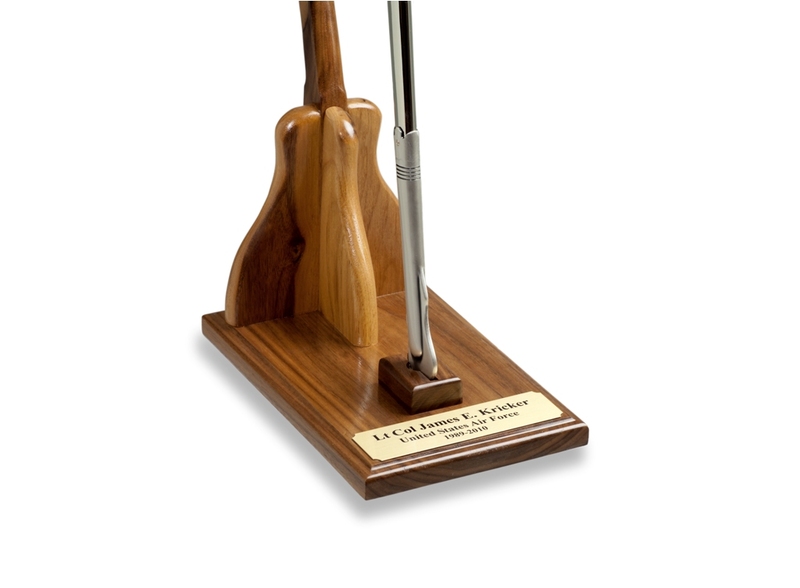 You will be proud to display your Military Sword, or Navy Cutlass, on this quality stand.